The important promise of neuroscience research is that it will unlock fundamental secrets about who we are as biological organisms and as a species whose intellectual capacities separate us from the rest of the biological world; and about how we can correct the disabling neurological disorders that deprive victims of part or all of their human identity. By the late 1980s and early 1990s, some of the keys to those secrets appeared to be within reach, as fMRI and PET imaging opened up the study of human cognitive functions, even emotional learning, and laboratory technologies clarified the processes of neurogeneration and axonal outgrowth. 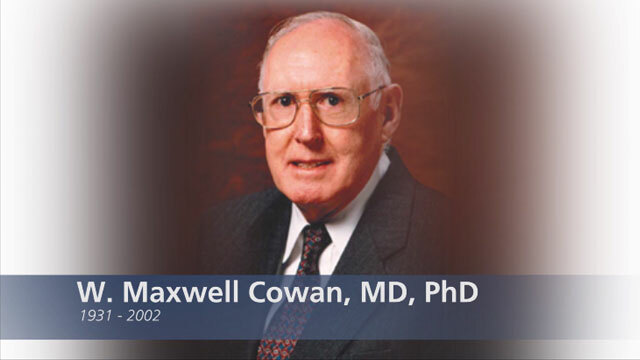 At the molecular level, the field continued to be energized by breakthroughs such as the discoveries of the genes for Huntington’s disease and Duchenne muscular dystrophy and the elucidation of the biological substrates of Alzheimer’s and the spongiform encephalopathies. The use of methylprednisolone was one of the first steps toward improved rehabilitation of spinal cord injury victims. Nevertheless, significant funding for the brain sciences has never been a forgone conclusion and has required major advocacy efforts on the part of individual scientists and of the Society as their premier organization. NIH has provided the bulk of biomedical research dollars over the past 50 years and supported the lion’s share of neuroscience research. NIH’s extramural grant program originated after World War II, when a small group of medical research grants was transferred from the Office of Scientific Research and Development to the still rudimentary institute. Under the leadership of Directors Rolla Dyer and later James Shannon, NIH evolved the peer-review mechanism to validate the distribution of its largesse as impartial and driven by scientific standards, while using the same rhetoric and the memory of major scientific achievements such as penicillin and polio vaccine to obtain ever larger appropriations from Congress. Other federal agencies, such as NSF and the Department of Energy, followed its example, but NIH always led the pack. In the expansive era of the 1950s and 1960s, total NIH funding increased from $52 million to more than $1 billion. These grants built research laboratories, and funded young scientists to start their careers, at universities all over the country. Although appropriations never decreased in the 1970s and 1980s, the annual percentages of increase were reduced as successive Republican administrations began calling for fiscal restraint. As young scientists started their own labs and hired their own students, they found themselves in tighter competitions for fewer dollars. The Society quickly recognized the need to take a strong stance in focusing government attention on neuroscientific objectives and achievements, to maintain, and if possible increase, the share of appropriated funds to the National Institute of Neurological and Communicative Disorders and Stroke (NINCDS) and the National Institute of Mental Health (NIMH). On April 19, 1977, Bloom and David Cohen testified before Joseph Foley, chairman of the National Committee for Research in Neurological and Communicative Disorders, part of the House Subcommittee on Appropriations for HEW/Labor. They expressed concern about “the erosion of federal support for neuroscience … at a time when research into the basic mechanisms of brain organization is in the midst of its most exciting and productive period.” Bloom and Cohen argued for the unique scientific and clinical importance of neuroscience, stressing that fundamental neuroscience research was the key to understanding neurological and mental disorders, which affected some 165 million Americans.139 This effort was successful, and the subcommittee recommended to the full Appropriations Committee that the NINCDS FY1978 budget be increased to $175 million, $14 million more than President Carter had requested.140 This represented a 15 percent increase for the institute, compared with a 12 percent increase for NIH overall. The following year, Cohen took up the torch and reported to the SfN Council that, although he was heartened by “the reversal of the negative attitude towards basic research … [and] a thrust toward greater emphasis upon and support for fundamental science,” he did not foresee that FY1979 would be “a ‘bumper’ year for federal support for neuroscience.”141 The Council appointed Cohen, Bloom and Maxwell Cowan to an ad hoc committee on research resources, which was renamed the Governmental and Public Affairs (GPA) Committee in 1980.142 The committee’s charge was to maintain contact with the heads of the various funding agencies, to advocate with Congress to maintain or increase neuroscience appropriations and to encourage members to write letters and speak to their own legislators. This person-to-person activity relied heavily on a handful of active scientists and GPA members who were in easy commuting distance of Washington. 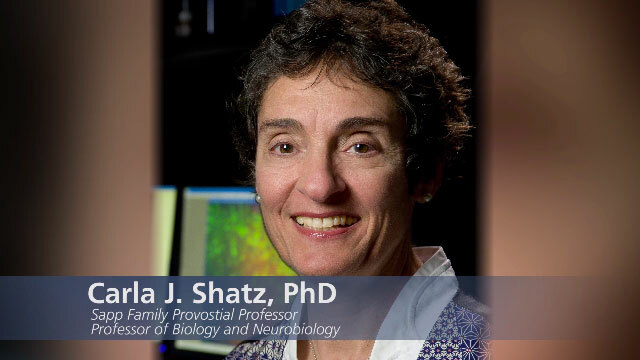 But political issues with neuroscience implications could arise in any part of the country; in 1987, SfN launched a grassroots program to encourage more neuroscientists to inform and stay engaged with local politicians and the media.149 At the same time, Cohen, Bloom, Purpura, and their colleagues urged the Council to consider contracting with professional advocates; even the most politically savvy scientist could not always be attuned to unanticipated political problems or take the time to represent the Society’s needs.150 In 1989, SfN was one of 66 founding members of Research!America, a non-profit education and advocacy alliance of universities, professional organizations, foundations, and medical manufacturers that works to make health-related research a higher national priority. SfN also worked closely with other institutions and organizations on educational programs. Figure 28 “Franklin Institute exhibit demonstrates ‘It’s all in your head. (Reprinted in the Neuroscience Newsletter from UCLA-NHA). The Society for Neuroscience established and ensured the disciplinary unity of neuroscience by facilitating communication of novel approaches and techniques while maintaining a clear focus on the brain and behavior. Neuroscience is unique among the life sciences because it is simultaneously basic and applied; the emphasis on the structure and function of the brain cuts across techniques and traditional scientific and medical disciplines. Moreover, although it began as the U.S. affiliate of IBRO, SfN has transcended its American origins by welcoming members from around the globe. Neuroscience and the Society matured together, and the emphasis at the 25th anniversary celebration was on how the Society had changed and matured to serve the needs of its members, from creating formal and informal communication opportunities at the annual meeting, to creating an integrated publication resource in The Journal of Neuroscience, to making the case to Congress for the recognition and funding of neuroscience research, to creating a meaningful public face for the neuroscience enterprise. SfN’s educational and political initiatives ensured that the status and visibility of neuroscience in international science and culture would continue to grow as the 21st century dawned. “Society Membership Continues to Climb.” NN 20:5, p.1. Zigmond, Michael J, and Linda P Spear. "Neuroscience Training in the USA and Canada,” n. 95. William Hodos, “A Profile of the Society for Neuroscience,” n. 102. Eliot Stellar and Alan Epstein, “Open Letter to the Council.” NN 14:2, March/April 1983, p. 2. Hasker P. Davis, Carol Elkins and Mark R. Rosenzweig, “The Role of Physiological Psychology in Neuroscience.” NN 18:1, January/February 1987, p. 6-7. “Federal Support of Neuroscience Research in 1977: Preliminary Results of Membership Poll.” NN 8:2 June 1977, p. 5. David B. Tower, “Understanding the Nervous System: Man’s Last Frontier.” NN 8:2, June 1977, p. 6-8. Open letter to SfN Members from Floyd E. Bloom, March 29, 1977, SfN Archive. “The Funding of Neuroscience Research and Training.” NN 8:2, June 1977, p. 1. 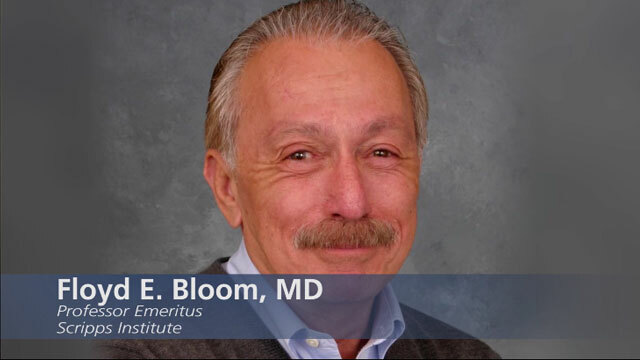 “Statement of Prepared Testimony by Floyd E. Bloom, M.D. and David H. Cohen, Ph.D. Representing the Society for Neuroscience in Testimony before the Subcommittee on Appropriations for HEW/Labor House of Representatives 95th Congress, 1st Session, April 19, 1977.” NN 8:2, June 1977, p. 2-6; original in SfN Archive. “Last Minute News of Success.” NN 8:2, June 1977, p. 3. David H. Cohen, “Commentary on Neuroscience Funding Prospects in FY 1979.” NN 9:1 March 1978, p. 2. Council Minutes April 1980, and November 9, 1980, p. 9, SfN Archive. David H. Cohen, “Neuroscience Research Support for FY 1980.” NN 10:3 September 1979, p. 1. Minutes of 27th Council Meeting, October 22, 1981, SfN Archive. David H. Cohen, “All’s Well that Ends [Almost] Well.” NN 14:2, March/April 1983, p. 1; David Cohen interview May 22, 2014. David Cohen, “Government and Public Affairs Committee 1983-4 Report to Council,” p. 1, GPA Files, SfN Archives. David H. Cohen and Joe Dan Coulter, “Governmental and Public Affairs Committee 1982 Report to Council.” NN 14:4, July/August, 1983, p. 2-5; Government and Public Affairs Committee 1985 Report to Council, and Government and Public Affairs Committee 1986 Report to Council, GPA Files, SfN Archive. David Cohen, “Governmental and Public Affairs 1986 Report to Council,” GPA Files, SfN Archive. This action was to support both the GPA and the Committee in Animal Research, see discussion in text. Floyd Bloom, “Governmental and Public Affairs Committee 1988 Report to Council,” GPA Files, SfN Archive. Murray Goldstein, “The Decade of the Brain: Opportunities and Challenge.” NN 21:1, January/February 1990, p. 3. Dominick Purpura, “Oral Testimony, NINDS, April 25, 1989, Public Witness for NCR and Society for Neuroscience.” GPA Files, SfN Archive. “Society Holds Decade of the Brain Symposium.” NN Volume 21:3, May/June 1990, p. 1. Council Minutes April 27, 1995, p 10; Frankie Trull was Vice President for Government Affairs at Capitol Associates, and then started Policy Directions, Inc. NN 26:1, January/February 1995, p. 3 and NN 26:4, July/August 1995, p. 7. “Society Expands Outreach Initiatives.” NN 26:5, September/October 1995, p. 1, 5. “Purpura Testifies on Neuroscience Appropriations.” NN 21:3, May/June 1990, p. 4. 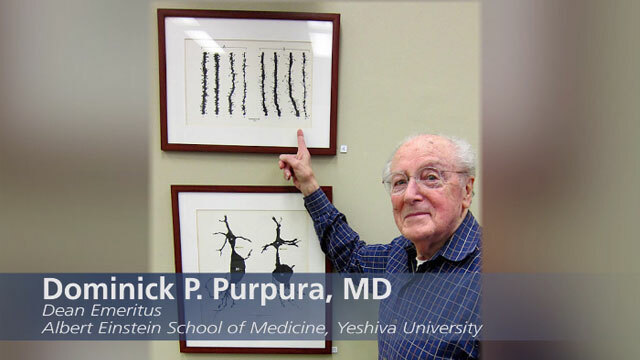 Dominick Purpura, “Statement of Dominick P. Purpura, M.D. for the Society for Neuroscience Concerning FY 1992 Appropriations,” April 19, 1991, p. 2, GPA Files, SfN Archive. Robert Pear, “Medical Research to Get More Money from Government.” The New York Times January 3, 1998. www.nytimes.com. Accessed August 1, 2014. Robert W. Wurtz, “Report from the President.” NN 22:1 January/February 1991, p. 1. Minutes of Council Meeting April 15, 1989, p. 6, SfN Archive. Edward Perl, “Society Launches Expanded Program in Public Education.” NN 20:4, July/August 1989, p. 4. “Public Education Program Receives Generous Contributions.” NN 21:2, March/April 1990, p. 5. “Council Approves Public Education Initiatives.” NN 21:1, January/February 1990, p. 4. David Friedman “Society for Neuroscience and National Association of Biology Teachers Forge a New Relationship.” NN 22:2, March/April 1991, p. 1-2; Council Minutes April 17, 1991, p. 2, 4, SfN Archive. Council Minutes April 17, 1991, p. 2-3, SfN Archive. “New Events for Education Day in New Orleans.” NN 22:5, September/October 1991, p. 1; J. G. Collins, “Workshop for Secondary School Students Proved Successful.” NN 23:2, March/April 1992, p. 1-2. Council Minutes November 13, 1994, p. 6, SfN Archive. Council Minutes April 18, 1994, p. 5, and April 27, 1995 p. 1, SfN Archive. “Public Forum Draws Standing Room Only Crowd.” NN 27:1, p. 19. Council Minutes April 18, 1994, p. 5-6, and Council Minutes November 17, 1994, p. 7, SfN Archive; Israel Hanin, “Committee Prepares Membership Survey.” NN 26:2, March/April 1995, p. 4. “Early Results of the 1995 Membership Survey.” NN 27:5, September/October 1995, p. 6. “Celebrate 25 Years of Progress at the Annual Meeting.” NN 26:3, May/June 1995, p. 1; Carla Shatz, “25 Years of Progress and Beyond.” NN 26:6, November/December 1995, p. 1, 15, 18.